We have released an update for the My.ViewRanger.com online community and trip planning website. 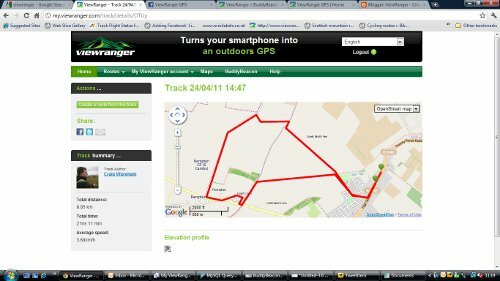 • Now includes a track map page that shows the track, elevation profile and key stats (average speed, distance and time). Record the GPS track of your trip with the ViewRanger app and then Synch or Upload it wirelessly, from your phone or tablet, to your community account. You'll have a map page that you can share with friends, family, and your Twitter and Facebook followers. • You can now share profile pages with facebook, twitter and email. Share links to your own page, or share links to your favourite brands and publishers. Share your profile page by clicking on the Facebook, Twitter, or email share links under the profile image. 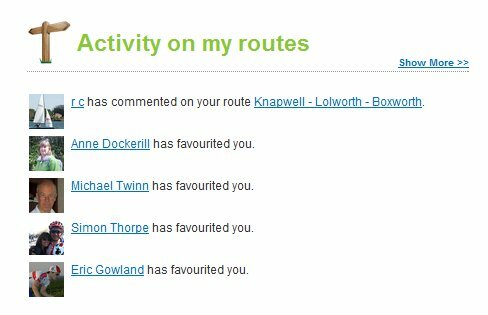 • On your homepage, an Activity Feed is now included so you can see who has favourite you and when someone comments on your routes. • On the view credit balance page, the 3 types of credit are shown – general, Norway and the deprecated UK credit (some long-time users of ViewRanger may still have UK-specific map credits), rather than just general and Norway.